The Glenco Bench Section of the 118 mile long Paradox trail is located in the Uncompahgre National Forest near Nucla, Colorado. 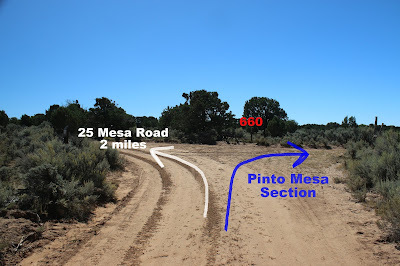 It begins off of the 25 Mesa/Nucla-Delta Road where it travels the length of the Log Bench trail that is high above the Tabeguache Creek Canyon. 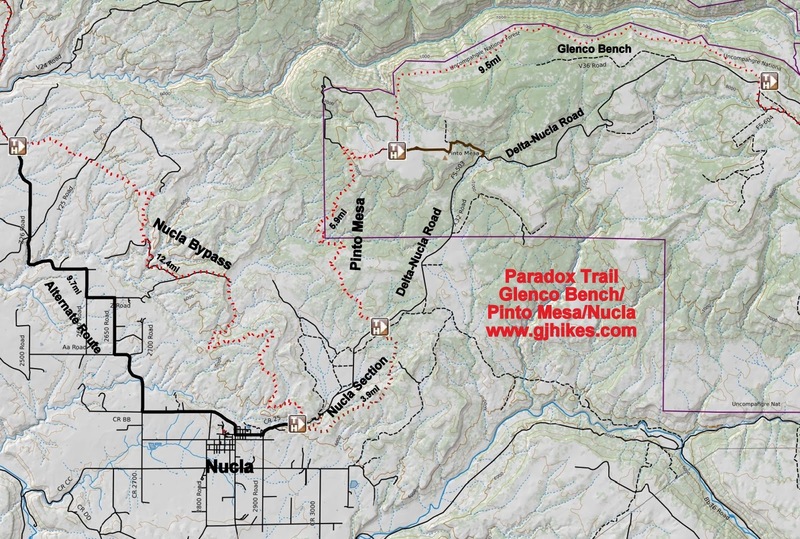 The Glenco Bench Section of the Paradox trail comes to an end at the Pinto Mesa Road FR #660. Measuring from Nucla it is about 15 miles to where the Glenco Bench trail branches off of the 25 Mesa Road. After passing the FR 603 intersection it is less than 1000 feet to the turnoff. There is a trail marker for the Paradox trail on the 25 Mesa Road that points out the turnoff and another marker after making the turn. At present there aren't any signs that mention the Log Bench trail or Glenco Bench or that have the trails number which on the map is 660. From the road the trail works its way through the trees and thick brush where there are a few small clearings. The trail will continue to alternate between thick brush and clearings for much of the next 7 miles or so. 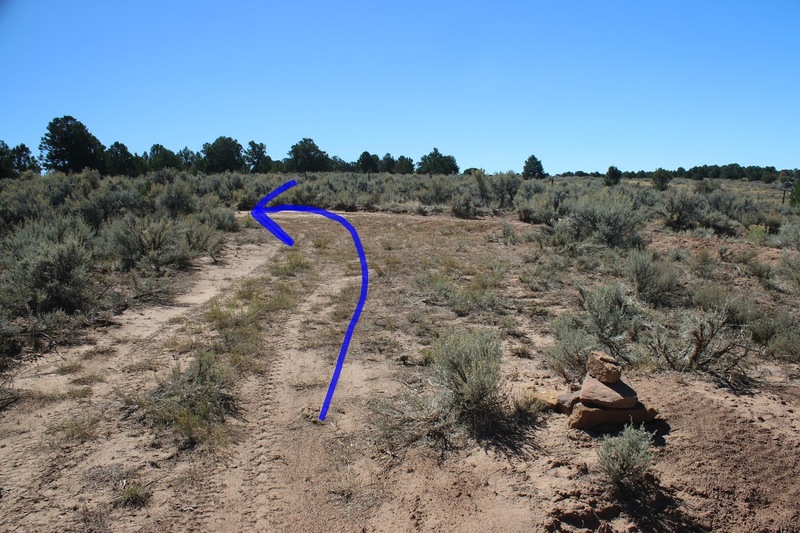 In a few of the clearings the route becomes very faint with side trails even appearing at times. Bringing a map along makes it easier to tell the overall course the trail follows and when to expect turns to come up. There aren't any Paradox trail markers for the next 8 miles or more so you have to make some route assumptions as you go. We were able to stay on track but we did look at our maps a couple of times for reassurance. There are a couple of places where the trail is almost completely overgrown with brush. We didn't notice any signs that excluded jeeps but they should be prepared to get their paint scratched up. The brush isn't so thick at present that hikers, bikers or horseback riders will have any trouble with it. Just past the 7.5 mile point the trail turns sharply away from the canyon and passes through a fence where the oakbrush and ponderosas give way to junipers and pinyon pines. Up to this point the trail has stayed pretty smooth but it gets rocky as it descends onto Pinto Mesa. The descent has been gradual up to here with no uphill at all to speak of. Over the next half mile the trail takes a big plunge down a rocky hill followed by a more gradual climb on the other side. After climbing out of the drainage the terrain flattens out and the vegetation transitions to sagebrush. Other routes begin popping up but fortunately the Paradox trail markers reappear to show which way to go at the intersections. For the remainder of the distance the route becomes relatively easy. The Glenco Bench section of the Paradox comes to an end as it rolls up to the Pinto Mesa Road #660. From here it is only about 2 miles back out to the 25 Mesa/Nucla-Delta Road. Going in this direction most of the Glenco Bench section of the Paradox trail is an easy roll. It only gets rough for about 3/4 of a mile. If you would like to see it for yourself then all you have to do is grab your bike or 'Take a hike'.